High downforce specification aero packages always look strange after the Italian GP in Monza, as F1 draws its focus away from reducing drag and back to sticking the tyres into the ground. 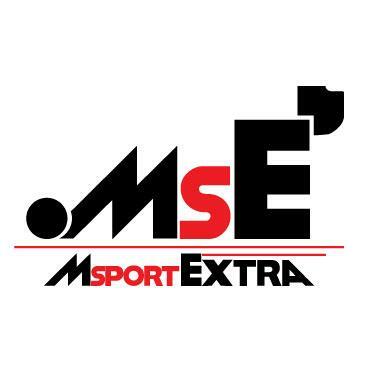 Let’s see what the teams had to offer. The C34 received a dramatic overhaul on both aerodynamic and mechanical fronts. This was a much-needed chassis update as the last time they brought anything substantial was back in April, where a new front wing made its debut in China. Since then Sauber have received the first Ferrari power unit upgrade (no Ferrari-powered team other than the Scuderia has the Italy spec unit) but are still finding themselves off the pace of the points runners. Sauber have openly admitted that they are experimenting with a new development path heading into 2016, and their Singapore update reflects the start of this change. Two versions of a brand new front wing were brought, following Ferrari’s design philosophy rather than the popular Mercedes/Red Bull concept. The top flap (highlighted) is no longer split across its entire width, instead the two elements converge into one at the inboard tip section. This, coupled with changes to the main plane at the inboard area, alter the characteristics of the large Y250 vortex that is shed in parallel with the centreline of the car. The other iteration of the new wing featured an additional r-vane directly beside the main cascade winglet, which ended up being the preferred layout heading into qualifying and the race. Another big visual change was the length reduction to the nose tip, as indicated by the red line on the illustration above. The new nose is not much higher than the previous version but the shorter length makes for better airflow management and should reduce the size of any induced vortices. Moving further back, the sidepods now have a much more rounded profile and move away from the boxy shape that they have had all season long. Combined with their new diffuser – which, with the u-shaped duct now removed, now utilises the central section of the floor – it will be easier to shape the airflow as desired through the back of the car to produce more rear downforce. The new ear-like fins that the rear crash structure now supports will also benefit from this cleaner airflow path. 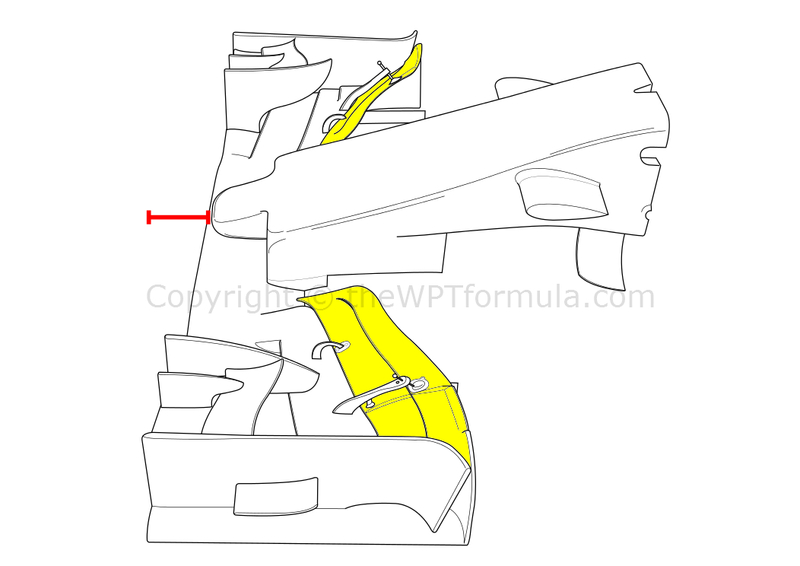 The fins, which both Mercedes and Ferrari use, are designed to work with the Monkey Seat (Y100) winglet in pushing the exhaust plume and surrounding air upwards, producing an upwash effect. They are essentially another device that link the diffuser and rear wing together. Both the rear wing and Y100 winglet had revisions, too. The top flap of the rear wing is now tapered as it reaches the outer tips whilst the winglet beneath has three individual elements with two attaching supports to each of the vertical rear wing pylons. Once again Red Bull reverted back to using the blown front axle layout for a street-style circuit, which all but confirms that they are used to generate that extra outwash effect around the front tyres when the car is going at slower speeds. This helps the front wing perform better and also reduces the amount of turbulent flow projected behind the tyre. New front brake ducts had to accommodate the return of the blown axle. The bell mouth inlet was increased in size to provide greater cooling – overheating brakes have previously plagued Red Bull in Singapore but it appears as if they have got on top of these issues. Underneath the front of the RB11, two versions of turning vanes were used behind the nosecone – one with more rounded upper leading edges and the other with a slightly straighter configuration. 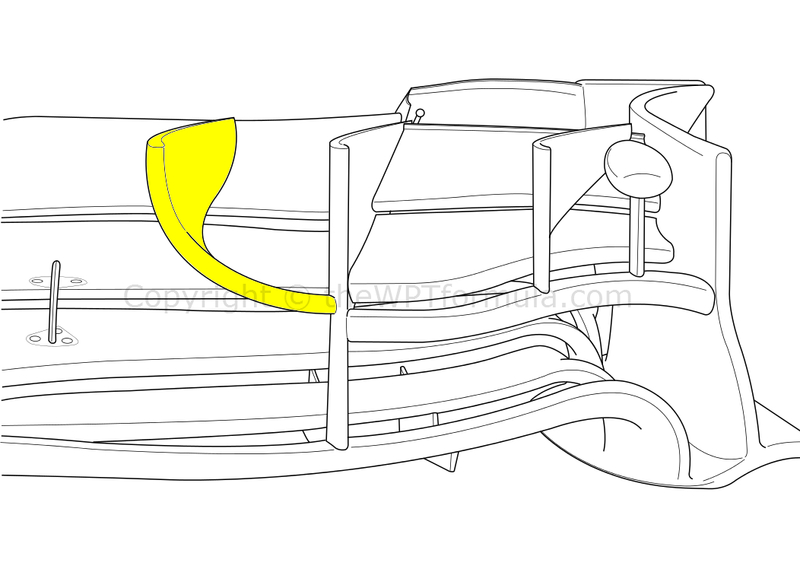 The set with flared edges curled up at a much greater angle along their base, which will create a low pressure zone for flow passing between the vanes to pass in to before heading around the sidepod undercut. It looks like an interesting development so we should keep an eye on this. It was also worth noting just how much more rake angle Red Bull were running during the weekend. It was almost like 2013 all over again, such was the attitude of the car relative to the ground! This lowers the front wing towards the ground which will make it perform better, as well as increasing the aspect ratio of the diffuser at the rear and thus produce more downforce. What appeared to be quite an experimental development turned into a race-ready part of the Ferrari SF15-T, with their beautifully crafted slotted floor providing Sebastian Vettel with more grip on his way to victory. Vettel looked at his very best in Singapore, and he produces such stunning performances when he has confidence in the rear of the car. The new floor aims to provide more grip by preventing turbulence ejected sideways from the rear tyre from stalling the diffuser. This is done by creating a series of vortices throughout the 8 smaller slots and larger single slot at the very back just ahead of the rear tyre, all conjoining to form one large vortex that is directed into the gap between the diffuser and the tyre. It is an extreme design solution but one that Ferrari are clearly happy with. 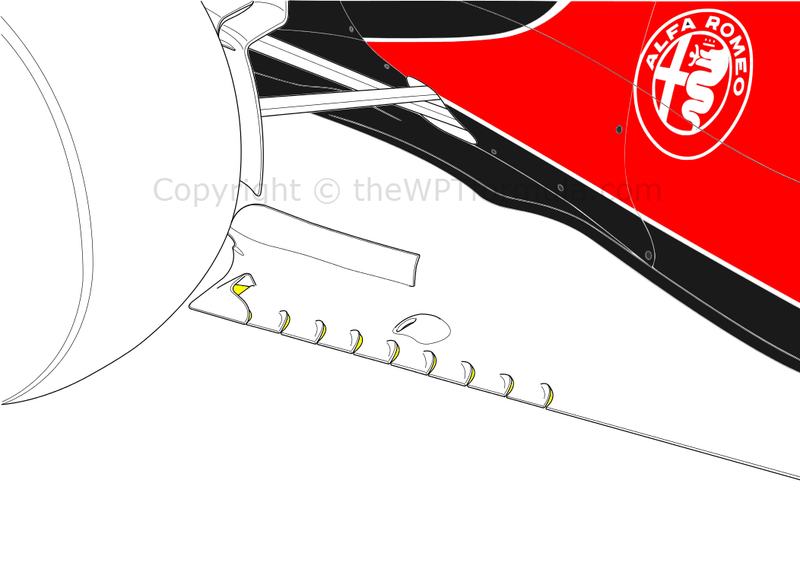 At the rear of the car, the Scuderia also – like Sauber – adopted the ear flick-up fins on the rear crash structure. It will be interesting to see if these are carried into the remaining rounds, as Mercedes have used their own version at every track including both Spa and Monza. They clearly play at least a small part in interlinking the aero structures at the rear of the car. The STR10 continues to impress and the Marina Bay circuit once again proved it is one of the class of the field. At times Max Verstappen was consistently lapping at the leaders’ pace, although unfortunately – thanks to the anti-stall system failing to save his poor start – he was at the back of pack playing catchup. Both drivers are revelling in the confidence that the aero platform provides and both are performing beyond their years at the moment. Toro Rosso are not afraid to forge their own development path, and this new turning vane that attaches to the (now wider) main cascade winglet is no exception. The vane acts as any other on the grid, but the way it curves at ninety degrees to meet with the winglet, rather than attach to the wing itself, is interesting. It looks as if they are trying not to influence airflow passing through the slot gaps too much by elevating the vane out of the way. Let’s see if this catches on going into 2016.